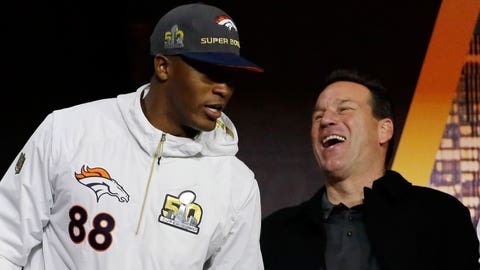 Demaryius Thomas showed up for Super Bowl Opening Night without having studied up on the halftime show. At all. Coldplay isn’t exactly Beyonce or Katy Perry in terms of Super Bowl halftime shows, but most folks at least have heard of the group or one of its songs. Broncos wide receiver Demaryius Thomas isn’t most people. "Demaryius what's your favorite Coldplay song?" "Coldplay? Have a favorite song?"